"On December 1st 2018 we celebrated 100 years since the Unification of our country. Because this was a very important national holiday we took some time to thank the Lord for the freedom and peace that we enjoy in our country. I was invited for this occasion to speak at a special conference which was organized by Grace Baptist Church of Bucharest. Two other guests and I spoke about the identity of the Baptists, their struggles in the last years and also about their attitude towards our country and its government. It was a good time for all of us. We stressed the fact that we have to be good Christians and also good citizens of our country. We need to be salt and light to bring the good news of the Gospel among the Romanians. Once a month we try to have a special men’s meeting in order to strengthen the relationships among us and to help each other grow in faith. We met again in December and we continued to study from J I Packer’s Knowing God. The men enjoy this book as it helps us to better understand how glorious our God is. Besides talking about the book, Stefan and I felt that there was a need to say a few words about Biblical manhood. Most of our men are quite young and some of them are not yet married. We want them to be strong men so to be ready to take responsibilities in family and church. We want them to fight against laziness and other temptations of modern society. We believe that these meetings are very useful and we are waiting to see these men grow more and more in their faith. We had another quite unusual event this month as some students from the Baptist Seminary came to our church to have a special meeting with Stefan and me. One of their professors wanted them to learn about planting churches, so they decided to visit us. We discussed with them for about three hours, explaining to them everything we do in our church. Then we also answered their questions. They were encouraged to see how Adonai church was planted. At the end of the meeting the professor who had joined them told me that one of the students waned to plant a church as we have. We were happy that we were a good example to these young men and pray that God may continue to raise a new generation of faithful servants in Romania. As I wrote in the previous reports on December 16th, we had a special Christmas concert and invited some singers and a speaker. Our church members had worked a lot in organizing this event, from advertising it to setting up the chairs and decorations etc. We were happy to see that the place was filled with people, some of them being non-believers. The Lord worked through the message which was preached. It is always good to organize such events because it exposes us to our neighbourhood. In Bucharest it is very easy to remain unknown and isolated. But people are open to visit us when we have a Christmas or an Easter concert. We continue to pray now that God may work in the hearts of those who have visited us in the last period of time. Besides our evangelism through the Christmas concert we tried to spread the Good News through caroling this month. Many of our church members joined us for a special evening. We sang on the streets and visited some special families. They appreciated what we did as they welcomed us gladly. I was surprised to see a person on the street coming towards us to join us in singing. We can only praise God for everything we did. We pray also for those families whom we visited (neighbours of our church members) that they may come to church too. Every step that we took contributed to strengthening the relationship that we have with them and now we look forward to see what God will continue to do in their lives. At the end of the month my family and I had a short holiday. We visited our parents that were very happy to see us. We don’t get the chance to visit them very often. However, for a pastor, a holiday is almost never a holiday. 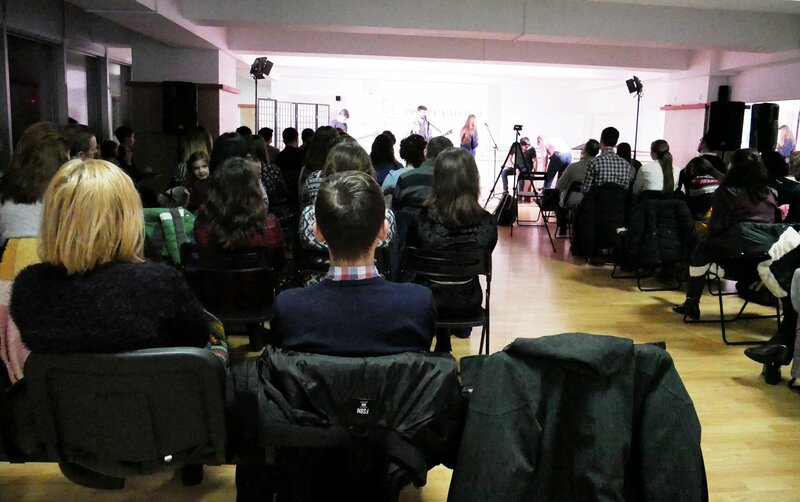 As I went to Constanta I was invited to preach in a church there where I talked about Christ’s incarnation. I am happy to share the Word of God whenever God opens a door for it.